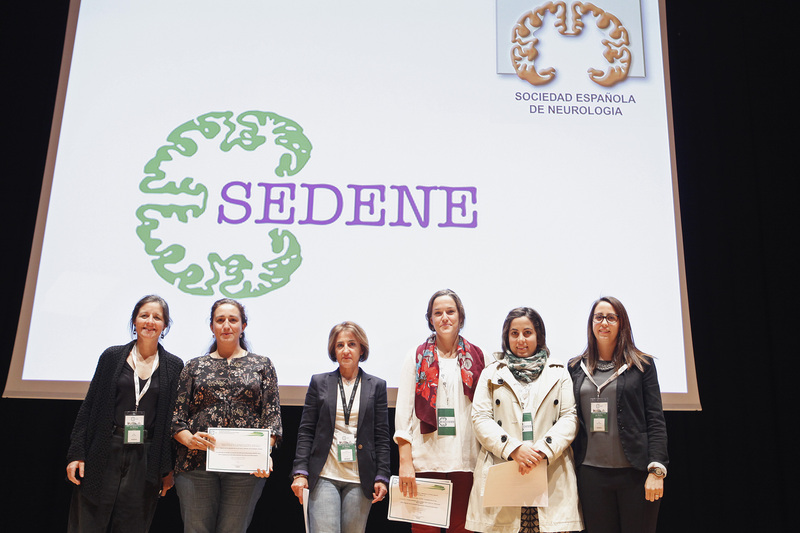 The Spanish Society of Neurological Nursing better known by the acronym S.E.D.E.N.E, is a young association of nursing professionals whose goal and purpose is the development in care for neurological patients, the patients’ family and the community in general. SEDENE is the result of the restlessness from seven nursing professionals, who felt they could contribute more to the community than what they were at the time. The adventure began on 10 December 1993 when the seven nurses coming from different points in Spain, decided to meet and agreed to start the nursing society known as SEDENE. They decided that anyone joining the society needed to share the same values and drive that they did, which was to embark on an adventure that was full of motivation and various beneficial projects for all involved. Since then they have registered over 300 nursing professionals and have empowered, educated and motivated each other all across Spain. To our knowledge SEDENE is the only nursing society of its kind in Europe and brings great value to not only those that are involved in the society but also to the surrounding community and the patients that each of them treat. Since starting the society, SEDENE have organised and hosted educational workshops, congresses and events. They have put together a rewards programme for members that execute valuable scientific work. They have also launched various publications as well as collaborated with various Continuing Education courses in various Hospitals, conferences and other scientific and social activities related to the different areas covered by neurology. The varied and in depth approach is to ensure that they are covering all bases and are continually educating and up keeping their members knowledge and involvement within their profession. SEDENE has created for nurses who care for neurological patients, the opportunity to meet with colleagues that have mutual outlooks to the industry and to share their knowledge and professional experiences with one another. SEDENE approached the Angels Initiative at the National Neurology congress in November 2016 to discuss partnering with them. Through evaluating the needs of the community, an exchange programme was developed based on a previous existing SEDENE project. The new project involves stroke nurses enrolling for an exchange programme, which creates the opportunity for them to visit their colleagues in field. Through this type of learning and experience sharing, they feel that all nurses involved could gain firsthand experience and knowledge that no workshop or textbook could ever teach them. The society believed that a new project could use additional support and an extra boost to ensure its success, which the Angels Initiative has to offer. Together, the Angels Initiative and SEDENE are in the final development stage of the project plan for the nurses programme, which will offer far more than just an ordinary exchange programme. Through this, the relationship between SEDENE and the Angels Initiative has grown from strength to strength and there are already several exciting projects that we are working on together. SEDENE’s passion to do more, be more and achieve more resonates through their work and is something to be recognised with.